At Burkwood Farm we provide quality instruction for beginning through advanced riders. Children and adults will gain added skill and knowledge through our lesson program. We believe in teaching the horse and rider to work together to accomplish the riders goals whether it be for pleasure or competition in the show ring, Burkwood Farm can help you get there. 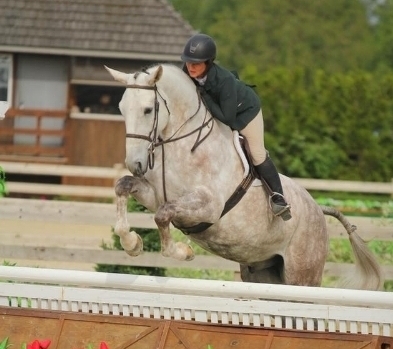 A full-service equestrian facility providing boarding + training. Ready to ride? Paige Wagter’s training philosophy is to customize a training program to each individual rider's goals. Whether they are to show at the local level or to qualify for USEF shows she will create a training program for you and your horse.